The Dalmatian for years has been know as the firetruck dog! That has been embedded in the American conscience since the formation of the republic! One of my clients in Ohio was a volunteer firefighter and he too brought in his Dalmatian for medical care! I don’t think there is anyone alive on the planet that can not recognize this breed! Most of these dogs are large, white dogs with varying sizes of black spots intermingled all over the body. A distinctive look to say the least. Hollywood has gotten into the act by producing countless variations of 101 Dalmatian movies. The problem with all of this was that the demand for the breed skyrocketed and a lot of inbreeding occurred producing dogs with a severe attitude problem. That means too aggressive, not only with other people, but with other dogs. Many a time, Dalmatian owners would bring their dog in to my office with a huge muzzle over its face. Another congenital issue due to inbreeding, were dogs with blue eyes that were completely deaf. These dogs are strong, energetic, muscular animals that need a lot of exercise to burn off a lot of that energy. They would probably do better in a suburban or rural environment. Many Dalmatian dogs do well with children but should be socialized with young children, strangers and other animals at an early age. 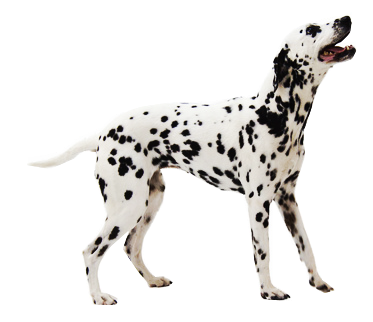 Dalmatian dogs, from a medical point of view, are different from other breeds. All mammals (and we humans are mammals) secrete urea as a byproduct of protein metabolism. This is manufactured in the liver and secreted as waste in the kidneys as urine. The exception to this is the Dalmatian which instead of urea, produces uric acid. This is what birds produce! This is why this breed is numero uno when it comes to urate (from the word uric acid) bladder stones. There are no specific diets to prevent urate stones in the bladder. The breed is also susceptible to bronzing syndrome; which is due to feeding a Dalmatian a high protein diet. The skin takes on, as the syndrome states, a bronze like appearance to the skin. Do not feed this breed high protein diets. I have really enjoyed working on them. A lot of Dalmatian dogs will actually smile at you when you fuss over them. One would think they are showing their teeth as a warning but with the majority of them it is just play! 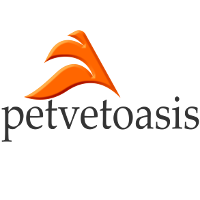 Learn more about the Dalmatian at Animal Planet’s® Dog Breed Selector.